The Leinster Horse and Pony Rescue was established in October 2014 and ever since then we have worked tirelessly to rescue, rehabilitate and rehome cases of equine cruelty, abuse, neglect and abandonment. Sadly, due to a sharp increase in indiscriminate breeding, our rescue centre and foster homes are now full beyond capacity. The Equine Welfare Improvement Scheme (EWIS). To help tackle the problems at source, The Leinster Horse and Pony Rescue has introduced an Equine Welfare Improvement Scheme (EWIS) to help to improve the welfare of horses and ponies in private ownership in the region of Leinster. Every case will be accessed on an individual case by case basis – we will deal with genuine cases only. The EWIS is designed to help people and animals. We are encouraging people that may need our help with their horse or pony to contact us to enquire about welfare improvements in the areas of: veterinary, gelding, microchipping, dentistry and farriery. From time to time we may also be able to assist with feed, hay, rugs and headcollars. All costs are covered directly by The Leinster Horse and Pony Rescue. However if you wish to make a contribution no matter how small, it would be greatly appreciated and would help us offer our services to more equines in need. The main objective of the EWIS is to improve the living conditions for horses and ponies in Leinster and to reduce the number of foals being born each year. If you feel you have a horse or pony who needs welfare improvements, please contact us in confidence. This is a non-judgemental led scheme, however we will only deal with equines who genuinely need our help. This is what we want to avoid! What is the Equine Welfare Improvement Scheme (EWIS)? The scheme enables The Leinster Horse and Pony Rescue to support horses and ponies in private ownership within Leinster with practical help and assistance. The aim of the scheme is to assist horse/pony owners/keepers in keeping their horses/ponies healthy and well, and in their private care in preference to seeking to surrender (give up) them to animal welfare charities such as ourselves. 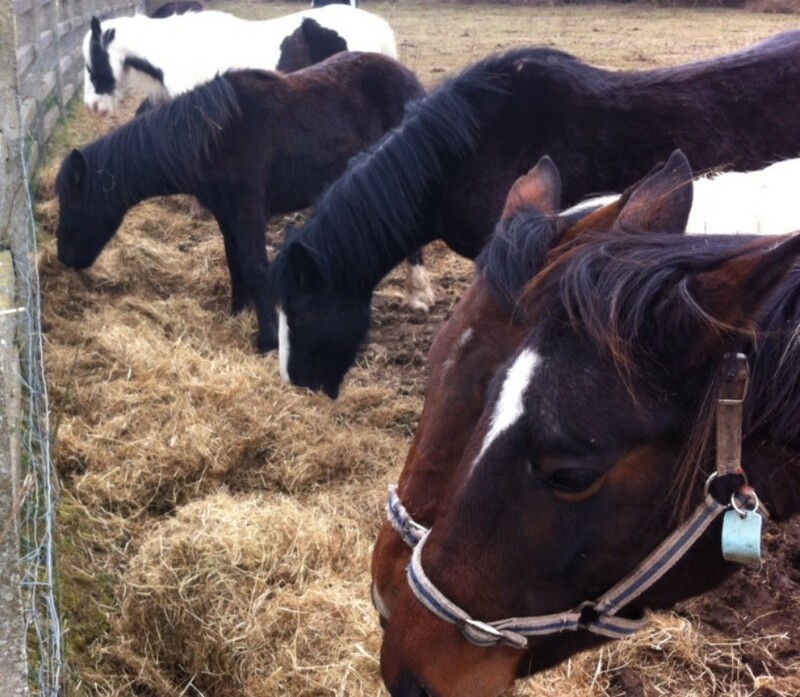 Help may include items such as advice, veterinary, dental and farrier services, and the provision of suitable feed. From time to time we can also provide rugs and headcollars. Who is the EWIS targeting? Increasingly our welfare officers are called to horses and ponies whose owners do not have the knowledge, experience and sometimes the financial means to provide best care for their equines. 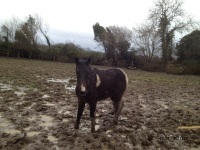 Will The Leinster Horse and Pony Rescue use my vet, farrier and/or dentist? The Leinster Horse and Pony Rescue wishes to engage with local service providers such as registered veterinary practitioners, equine dental technicians and farriers where possible. We do however reserve the right to seek the services of other professionals particularly where we have agreed to pay for treatment/services. 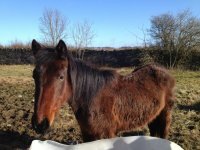 How much will it cost me for a member of The Leinster Horse and Pony Rescue, a farrier or vet to visit and check my equine(s)? If one of The Leinster Horse and Pony Rescue members visits, there is no direct cost to you but you may wish to visit our website to find out information on how to make a donation now or in the future. Should The Leinster Horse and Pony Rescue engage a vet, farrier or other person to visit, the responsibility to pay is ours. However, where the owner/keeper of the equines can pay some or all of the cost this is very much appreciated - enabling us to reach even more equines in need of services. Are there repercussions if the horse or pony are in poor condition (e.g long feet, underweight, etc)? What if I am not the owner? If you are not the registered owner but instead are the person responsible for providing care, please make this clear at the time of your enquiry and inform us of the owner’s details, if known, as such would need to give permission for services to be provided. Does the scheme provide an emergency service? This scheme is not intended to provide an emergency service. If your equine is sick or injured you should consult your own veterinary practitioner immediately.